Professor Ken Russell new depute principal of Inverness College UHI. A new depute principal has been appointed to assist with the academic development of Inverness College UHI. Professor Ken Russell joins the Inverness institution from Robert Gordon University in Aberdeen where he served as associate dean, head of the chartered management institute centre and a professor of strategy and leadership. He joins the University of the Highlands and Islands (UHI) facility as the lead for strategy and curriculum development. Professor Russell said: “I’m looking forward to building on the relationships Inverness College UHI has already developed with public organisations, professional bodies and industry so we can explore areas of mutual interest and build on our offer. The new depute principal brings a strong background of curriculum development, leadership and management to the role with his experience spanning teaching, research, management and mentoring of staff. 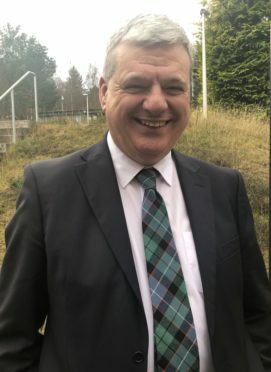 As part of his new role, professor Russell will be working closely with Professor Chris O’Neil, Inverness College UHI principal, and fellow depute principal Roddy Henry to design, develop and achieve professional recognition of courses, with a particular emphasis on degrees, masters programmes and graduate apprenticeships. Professor Russell is set to begin his new role on Monday, January 28.